Nice Summer View Of Waterfall In Lauterbrunnen Village. 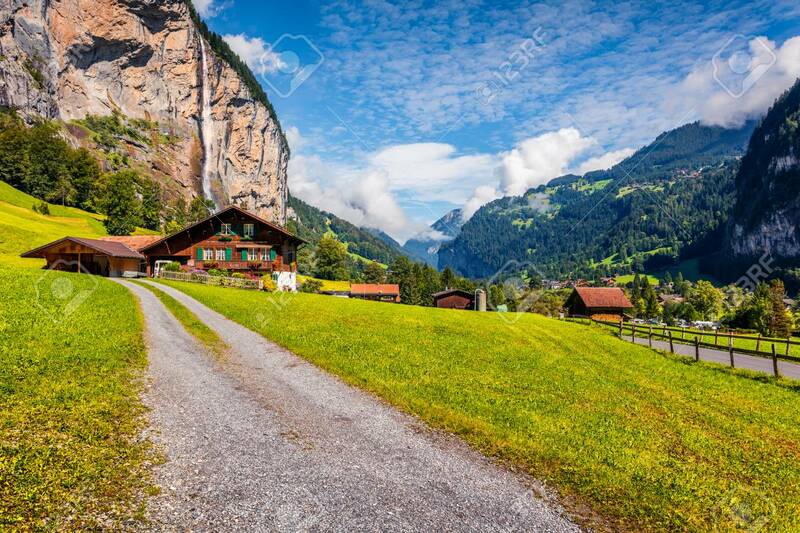 Splendid Outdoor Scene In Swiss Alps, Bernese Oberland In The Canton Of Bern, Switzerland, Europe. Beauty Of Countryside Concept Background. Fotos, Retratos, Imágenes Y Fotografía De Archivo Libres De Derecho. Image 116550499. Foto de archivo - Nice summer view of waterfall in Lauterbrunnen village. Splendid outdoor scene in Swiss Alps, Bernese Oberland in the canton of Bern, Switzerland, Europe. Beauty of countryside concept background. Nice summer view of waterfall in Lauterbrunnen village. Splendid outdoor scene in Swiss Alps, Bernese Oberland in the canton of Bern, Switzerland, Europe. Beauty of countryside concept background.